2018 Summer Reading Prizes are here! Attention, all kids who accumulated 20 stamps in their passports in June, July, and August during our 2018 Summer Reading Program: we JUST put out a cartload of books for you to look over and choose one to take home to keep, as your reward for reading and participating this summer! 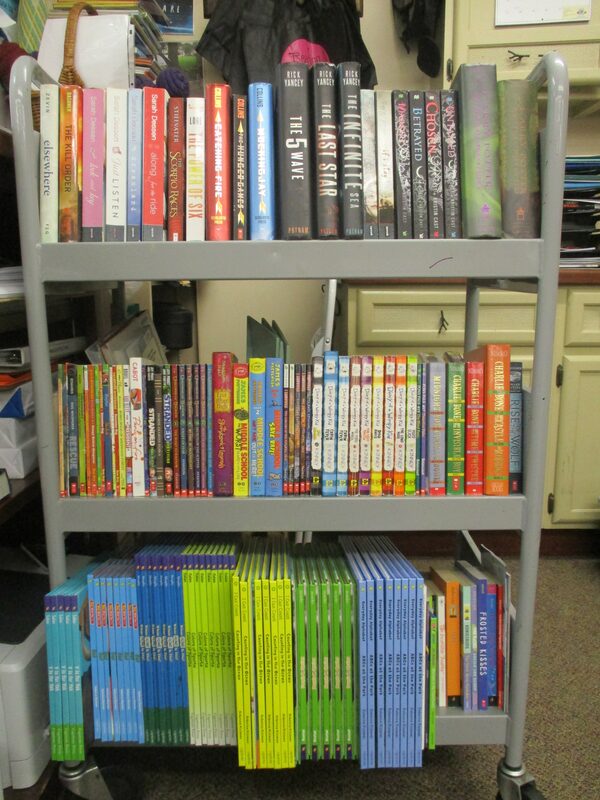 There is a little bit of everything, from picture books to YA fiction! Make sure to bring your passport along when you stop in to browse. First come, first served. Questions? Give us a call at 896-READ! Summer Reading Program ends on August 31st! As sad as it is to announce, our 2018 Summer Reading Program is ALMOST at an end. Please make sure your kids turn in any completed weekly reading challenges on or before Friday, August 31st. (You can put them in our outdoor book return box if we are not open when you stop by, just as long as we find them on Saturday morning before we open for business!) This deadline also means that kids have today (Tuesday, August 28th), tomorrow (Wednesday, August 29th), and Thursday, August 30th to stop by during our normal hours of operation, check out a book or two, then put their names into the final drawing for four free ice cream cones, generously provided by our sponsor, Sub Zero Pizza & Ice Cream. 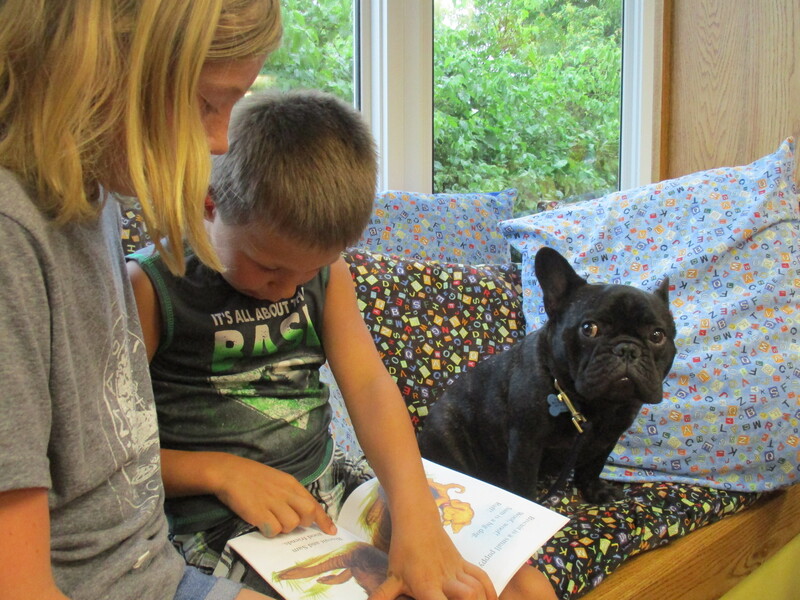 Remember that either one of these activities gets you one more stamp in your reading passport — and kids who earn 20 stamps or more this summer will get to choose a free book to take home and keep! Questions about this or any other library program? Give us a call at 896-READ! What’s it like to live and work as a Peace Corps volunteer in a very different part of the world? Find out as former Peace Corps volunteer, Ashley Dress, now the director of the Caledonia Public Library, shares a slideshow and stories about her life-changing years of service in Thailand. This event takes place on Monday, August 20th from 7 to 8 pm in our children’s room. Questions? Call the Houston Public Library at 896-READ! SEE THE WORLD — STUDY ABROAD FOR KIDS! On Monday, August 6th from 7 to 8 pm in our children’s room, come and listen to Southeastern Minnesota kids talk about living abroad on an Exchange Families International program. Our speakers for the evening, ages 9-16, have lived in France, Germany, Spain, and Singapore — and have plenty of tales to tell and adventures to share. This is an event for the entire family! For more information, call the library at 896-READ or check out www.exchangefamilies.org! . Questions about this or any other library program? Call us at 896-READ! AN EVENING OF AFRICAN DRUMMING! Stop by the library’s greenspace on Monday, July 9th from 7 to 8 pm for an evening of African Drumming! “Uncle Kwesi” was born in Ghana and raised in Togo with parents from both countries. In this exciting class/presentation, he will share his life-long love of drums and drumming with kids, as they learn about the kenkeni, sangba, dun dun, and djembe. 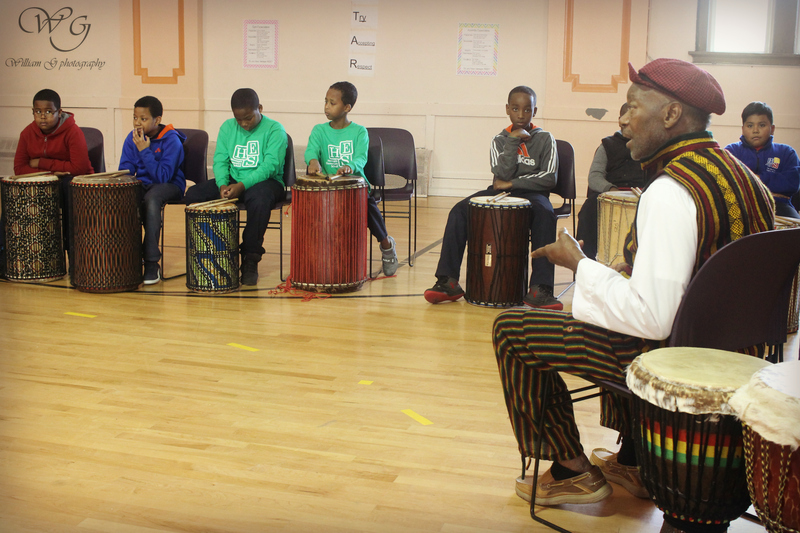 Kwesi ensures that everyone will get a hands-on lesson in traditional African drumming which will resonate within each student for years to come. In case of inclement weather, we will meet up over at the Houston Community Center. This event was paid for with funds from the Minnesota Arts & Cultural Heritage Fund through a SELCO Legacy Grant. Questions? Call the library at 896-READ! The Magic of Celtic Music! Join us in the library greenspace on Monday, June 25th from 7 to 8 pm for an evening of Celtic Music with Laura MacKenzie! “Celtic” can describe music from a number of areas, including Ireland and Scotland, regions of France, Northern Spain, Wales, and Nova Scotia. 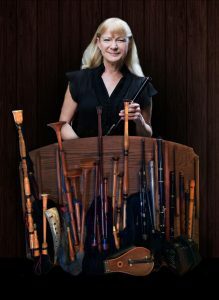 Laura MacKenzie will play traditional music on a fascinating array of wind-powered instruments, including a variety of wooden flutes and tin whistles, various types of bagpipes (bellows and blown), concertina, gemshorn, and voice. This event was paid for with funds from the Minnesota Arts & Cultural Heritage Fund through a SELCO Legacy Grant. In case of inclement weather, we’ll meet up over at the Houston Community Center. Questions? Call the library at 896-READ! 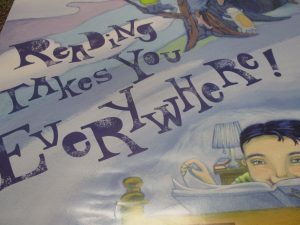 READING TAKES YOU EVERYWHERE is our theme this year for Summer Reading at the Houston Public Library, so make sure to check out our list of special events running from the beginning of June through the end of August. We’ll be traveling around the world this summer, learning about other cultures and places! All events take place in the library or outside in the library’s greenspace, unless otherwise indicated. In case of inclement weather, some outside events will take place over at the Houston Community Center. Give us a call at 896-READ when in doubt. Monday, June 11 from 7 to 8 pm: CHIONE QUARTET! 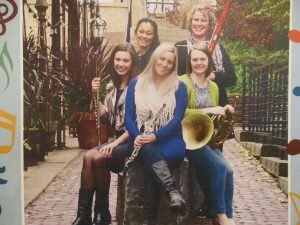 The woodwind quartet, Chione, will be here to present an hour-long concert featuring classic children stories, thanks to a partnership between the Minnesota State Arts Board and the Mankato Symphony Orchestra. This family-focused program will introduce audiences to the instruments of the flute, oboe, clarinet, horn, and bassoon in an up-close and personal environment with hands-on arts activities for children. This program was funded in part with money from Minnesota’s Arts & Cultural Heritage Fund. Monday, June 18th from 7 to 8 pm: GLOBAL GAMES with Mr. Fun! Learn about the fun side of world cultures as we are introduced to a variety of toys and games from different countries and get to try our hands at playing them. Global Games helps kids develop skills and build self-esteem while gaining new respect for world cultures. This program was funded in part with money from Minnesota’s Arts & Cultural Heritage Fund. Monday, June 25th from 7 to 8 pm: THE MAGIC OF CELTIC MUSIC with Laura MacKenzie! Enjoy an evening of Celtic music and instruments from a number of areas including Ireland and Scotland, regions of France, Northern Spain, Wales, and Nova Scotia. 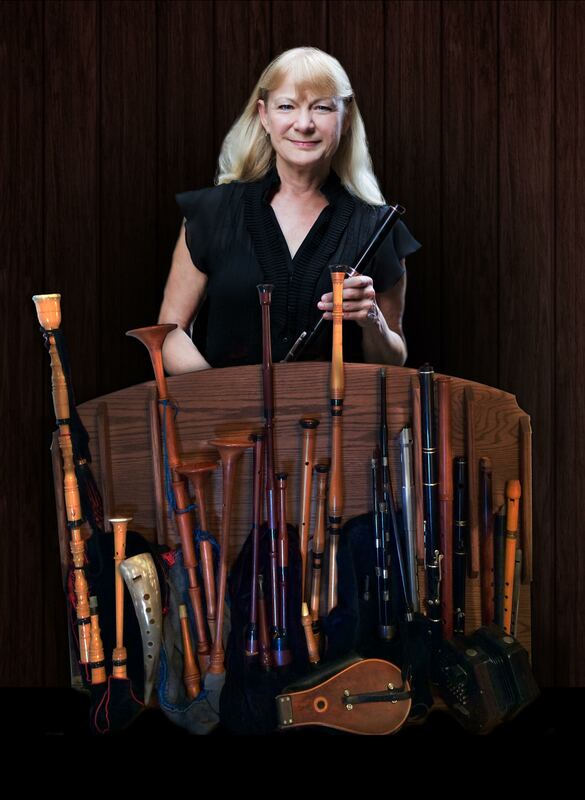 Laura MacKenzie will perform traditional music on a fascinating array of wind-powered instruments, from wood and tin whistles, various types of bagpipes, concertina, gemshorn, and voice. This program was funded in part with money from Minnesota’s Arts & Cultural Heritage Fund. Monday, July 9th from 7 to 8 pm: AFRICAN DRUMMING with Sosthenes Kwesi Nunyapke! Stop by for an exciting evening focused on the drum, perhaps the oldest instrument in the world as well as one of the earliest forms of communication. In this presentation/class, kids will learn about a variety of drums ranging from the kenkeni and the sangba, to the the dun dun and the djembe. With as many as 40 drums available, we’ll all have a hands-on lesson in traditional African drumming which will resonate with participants for years to come. This program was funded in part with money from Minnesota’s Arts & Cultural Heritage Fund. Monday, July 16th from 7 to 8 pm: PEACE CORPS VOLUNTEER SLIDESHOW on the Central African Republic! What’s it like to live and work as a Peace Corp volunteer in a very different part of the world? Find out as former Peace Corps Volunteer Liz Gibson-Gasset shares a slideshow and stories about her life-changing years of service in the Central African Republic. We’ve got old maps, boxes of all sizes, scissors, and glue. Stop by and make a travel-themed treasure box to keep souvenirs or other precious things in! Monday, July 30th from 7 to 8 pm: FABULOUS FRANCE with Christian Gasset! Discover the charm of small-town life in southern France with Christian Gasset, who was born and raised in the heart of the Pyrenees Mountains near the Spanish border. Monday, August 6th from 7 to 8 pm EXCHANGE FAMILIES INTERNATIONAL EXCHANGE PROGRAM FOR KIDS! Come and listen to Minnesota kids, ages 9-16, talk about their adventures living abroad on an Exchange Families International Exchange! 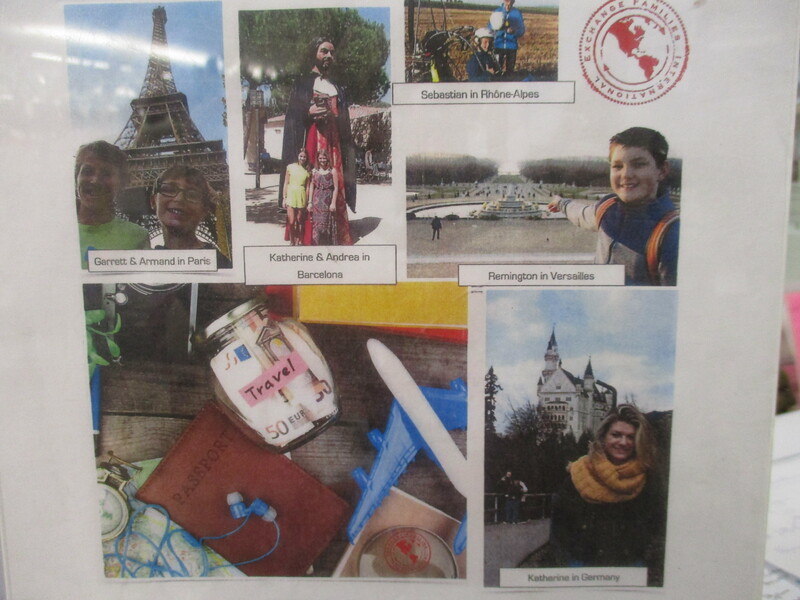 Based on personal experiences in France, Germany, and Spain, these students will share their incredible international adventures and discuss how easy it is to learn a foreign language through immersion! Wednesday, August 8th from 1 to 2 pm: MUSIC OF THE CONGO with Siama ! Transport yourself to the dance floors of East Africa, as we listen to traditional Congolese music layered with familiar elements from the blues, reggae, and calypso, all written and performed by Siama and Dallas Johnson. This program was funded in part with money from Minnesota’s Arts & Cultural Heritage Fund. Experience the wonder of India through stories and photographs with Kim Hammer, world traveler and owner of SUTRA global imports in Dakota, MN. 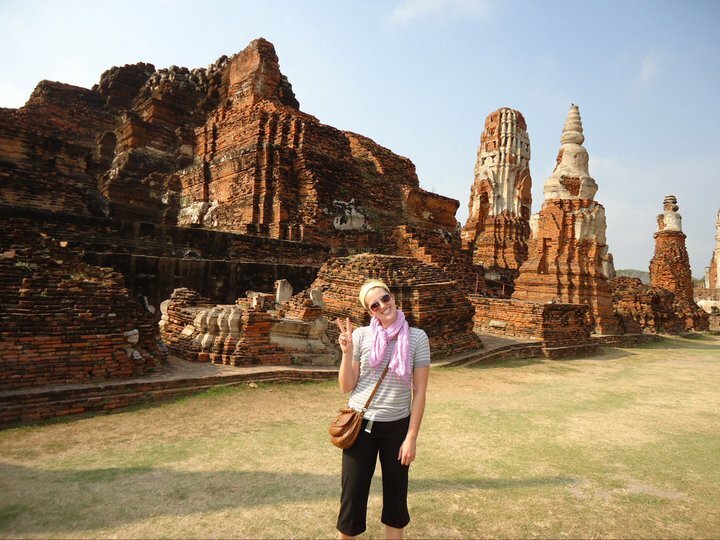 Monday, August 20th from 7 to 8 pm: TRAVEL TO THAILAND with Ashley Dress! What’s it like to live and work as a Peace Corps volunteer in a very different part of the world? Find out as former Peace Corps Volunteer Ashley Dress, now the director of the Caledonia Public Library, shares a slideshow and stories about her life-changing years of service in Thailand. We host storytime at the library every Saturday morning from 10-11 am all year round, but we only have professional musicians and their instruments as our guests once a year — when the Apollo Music Festival is in town! Stop by for an informal and fun way to introduce your kids to the world of classical music. You’ll be glad you did! This year’s Summer Reading Program is sponsored by the Friends of the Houston Public Library,a grant from Minnesota’s Arts and Cultural Heritage Fund, SELCO Legacy grants, the Apollo Music Festival,Sub-Zero Pizza and Ice Cream, memorials in honor of Teresa & Banjo Erickson and Illa Sweet,and a generous donation from Jayne & Jim Gilmer. 2018 SUMMER READING PROGRAM: Reading Takes You Everywhere! Every Monday this summer, we’ll be hosting special events showcasing other places, cultures, and traditions. You can pick up a list of events at the library or check out our Facebook page and/or website for more information. We are NOT doing reading logs this year, but will instead offer weekly challenges for kids that may be turned in anytime during the summer to be entered into 13 weekly drawings for Barnes & Noble gift certificates. Kids can do one weekly challenge, a few, all thirteen, or none at all! It’s their choice! In addition, every time kids stop by the library and check out books, they can enter a drawing to win one of four ice cream cones given away each week this summer, thanks to the generosity of Sub-Zero Pizza and Ice Cream. Finally, kids can pick up a passport here at the library at the beginning of summer. They’ll get a travel-themed stamp in it for every library event they attend, for every weekly challenge they turn in, or simply for checking out books. Each kid who earns 20 stamps or more by Friday, August 31st can pick out a free book to take home. The Houston Public Library’s 2018 Summer Reading Program, which runs from Monday, June 4th through Friday, August 31st, is sponsored by the Friends of the Houston Public Library, Minnesota’s Arts and Cultural Heritage Fund, SELCO’s Legacy Grant Program, Sub-Zero Pizza & Ice Cream, memorials in honor of Teresa & Banjo Erickson and Illa Sweet, and a generous donation from Jayne & Jim Gilmer. It is open to all children, preschool through young adult, with games, prizes, drawings, story hours, and more. Remember: kids who read (or are read to) over the summer keep their brains active, entering school in the fall ready to learn and succeed. We hope that your family will take advantage of the free materials and services provided by your local libraries over the course of this coming summer. If you or your child would like a library card, please stop by during our regular hours of operation with your current Minnesota’s Driver’s License. Now that we are fully automated and part of the online SELCO system, we require this piece of current photo identification from a child’s mother, father, or legal guardian to issue a library card. By providing this information, you accept responsibility for any overdue fines, damage charges, or replacement costs that your child may incur. Please call 507-896-READ or stop by the library at 202 East Cedar if you have any questions! Story Time Concert with Chione! Join us outside at the library on Monday, June 11th at 7 pm for a special performance! 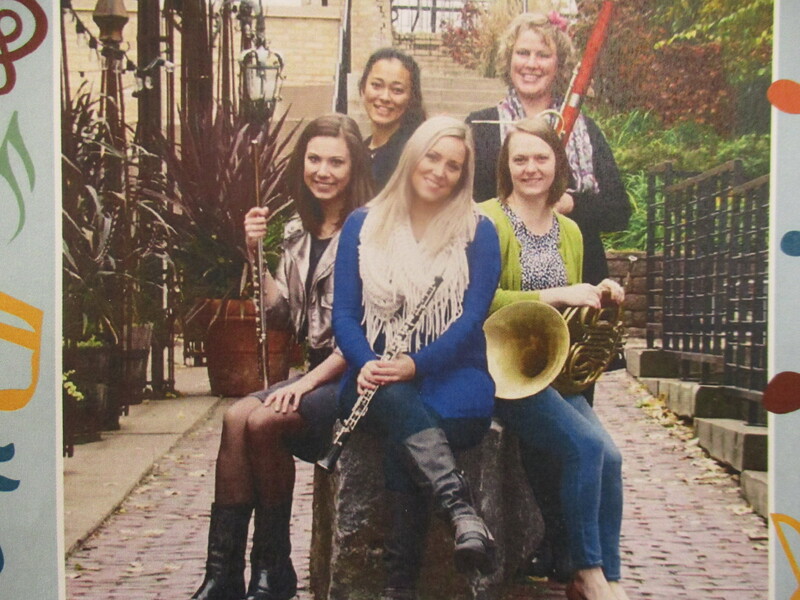 Chione will present a Story Time Concert featuring classic children’s tales alongside music of a woodwind quintet. This family-focused program will introduce the audience to the instruments of the flute, oboe, clarinet, horn, and bassoon in an exciting, up-close and personal environment with a few hands-on activities for children. This program is presented in cooperation with a grant from the Minnesota State Arts Board and in partnership with the Mankato Symphony Orchestra. (In case of rain, this event will take place at the Houston Community Center.) Questions? Call the Houston Public Library at 896-READ!